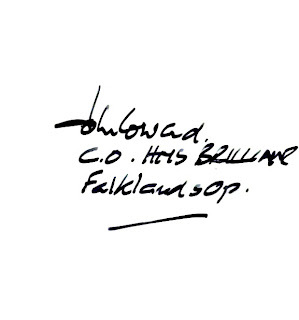 Vice Admiral Sir John Coward was The Commandant of the Royal College of Defence Studies from 1992 until 1994. The Commandant of the Royal College of Defence Studies was a UK senior serving military officer between 1972 and 2001. The post rotated through the three branches of the armed forces in turn. There had been one civilian Commandant, Alistair Buchan, in 1971 when the old Imperial Defence College became the Royal College of Defence Studies. In 1991, the post was downgraded to 3 star, and then in 2001, it was opened up to competition through public advertisement. Subsequent incumbents have as yet both been senior retired military officers. 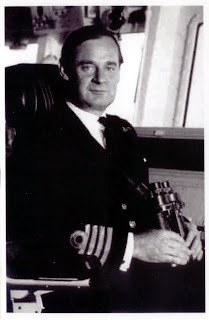 During the Falklands Conflict, HMS Brilliant was commanded by Captain John Coward. HMS Brilliant (F90) was a Type 22 frigate of the Royal Navy. She was part of the Task Force that took part in the Falklands War. There, her two helicopters were involved in attacking the Argentine submarine Santa Fe. She was the first Royal Navy warship to fire the Seawolf missile in anger when, on 12 May 1982, she shot down three aircraft. On 21 May HMS Brilliant came under Argentine air attack outside San Carlos Water and was slightly damaged by cannon fire. She rescued 24 survivors from Atlantic Conveyor on 25 May.